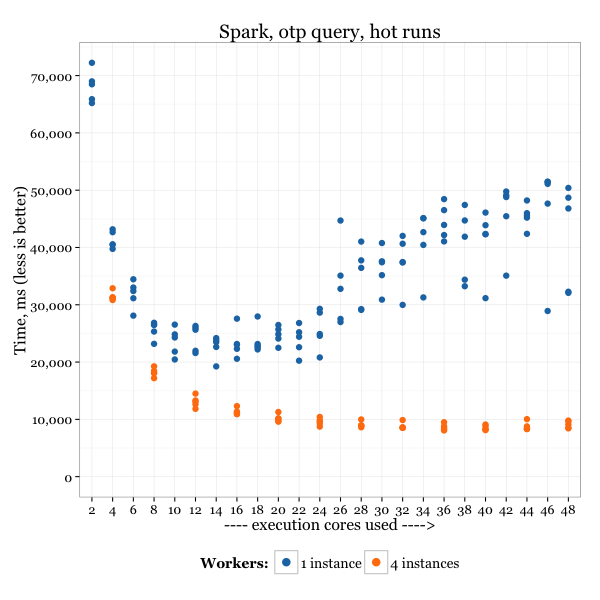 How to improve the performance of Apache Spark, and how Java is not good at dealing with over 100GB of memory. To recap an interesting point in that post: when using 48 cores with the server, the result was worse than with 12 cores. I wanted to understand the reason, so I started digging. My primary suspicion was that Java (I never trust Java) was not good at dealing with 100GB of memory. 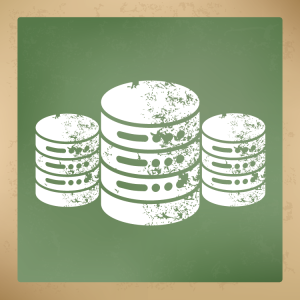 The full description of the test can be found in my previous post Apache Spark with Air ontime performance data. I think there is a clear indication that with the 25GB HEAP size, Java performs much better than with 100GB — at least with Oracle’s JDK (there are comments that a third-party commercial JDK may handle this better).